Oh, memes! They are a wonderful creation of social media. We cannot imagine how boring our lives would be if we did not have them. There are all sorts of categories, but the main one is surely food. 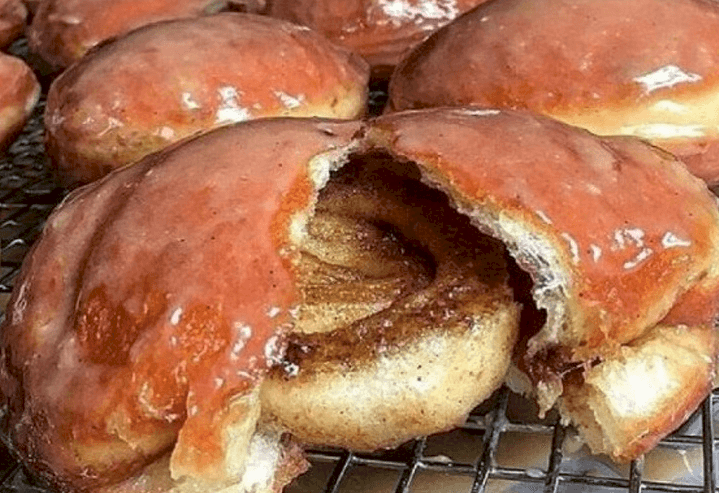 With that in mind, we've compiled the best food memes, but we have to warn you that you'll laugh so hard that your stomach will hurt. 1. We don't know how Popeye shopped his spinach, but for us, it seems as if this vegetable has a type of reductive magic. We buy several pounds of it, only to end up with a handful. 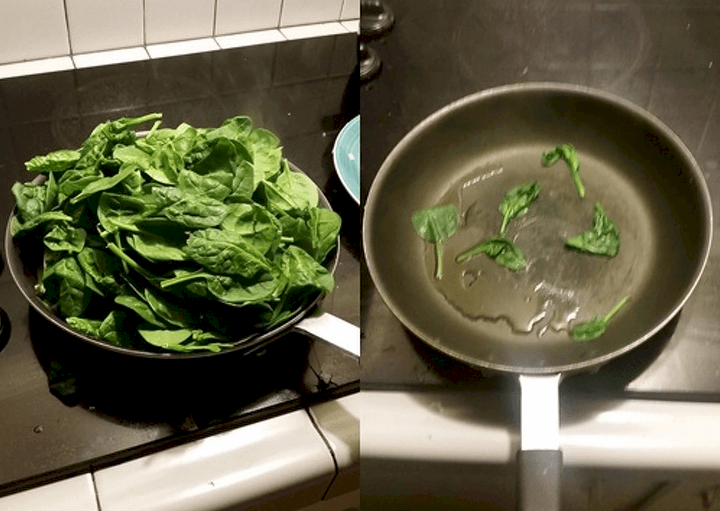 Spinach, we don't like you! 2. On the left, we have the quantity the recipe says, and on the right, you can see how much is actually used. 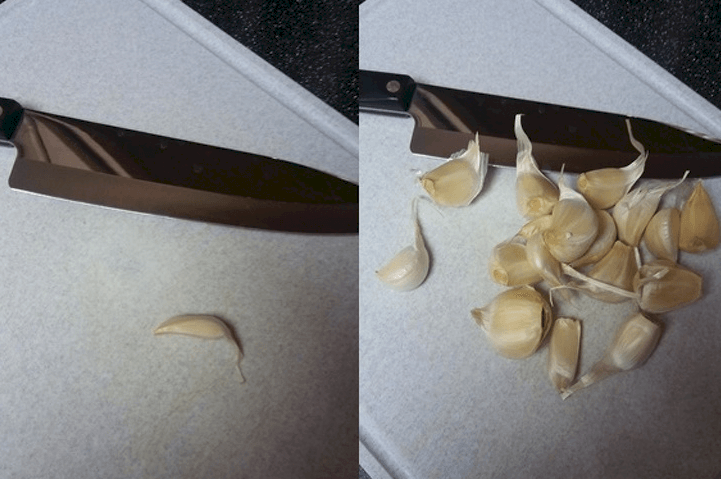 But we have to confess that garlic is so good that there is nothing wrong with adding more cloves. 3. 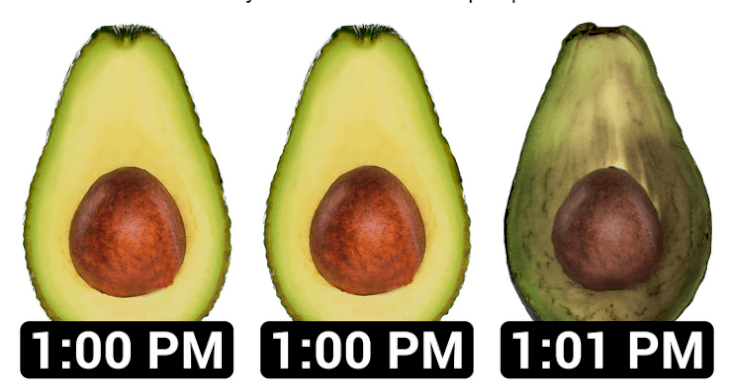 We know folks that love this fruit, but maybe avocados are not too fond of people. How is it possible that only one minute after opening it is already browning? Why, avocado, why? We love you! 4. We'd like one for here and another one to go, two portions of french fries and, of course, one diet soda, please. There's no better way to take care of your weight than looking after what you drink. 5. This is why we love grandmothers. 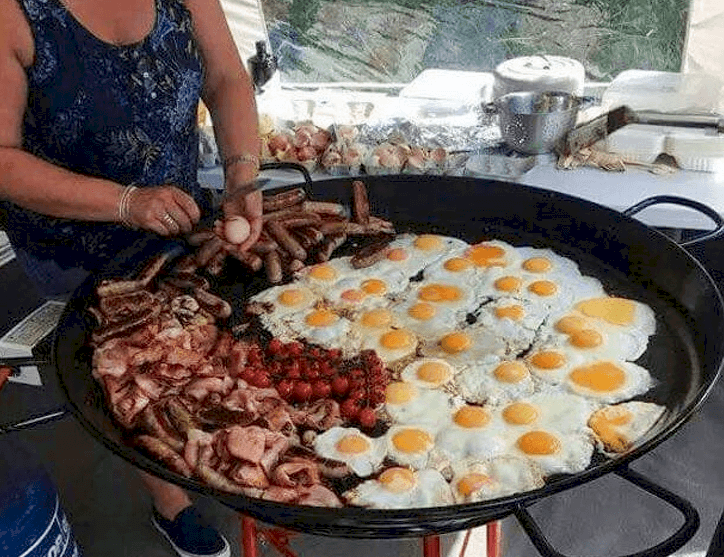 A friend of ours asked his granny to prepare something "light" for him because he was not very hungry, and this is what she made. It is as if they can read our minds! 6. Whoever that dares to say it is too much Mozarella is going to get in trouble with all the lovers of this dairy product. 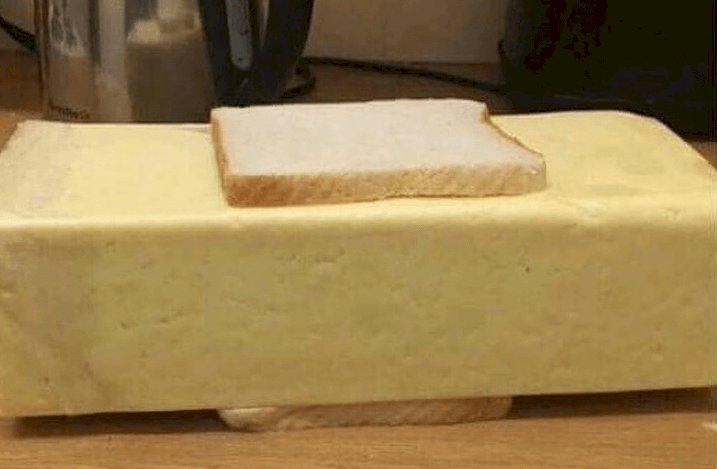 There is no such thing as overeating cheese. Never! 7. 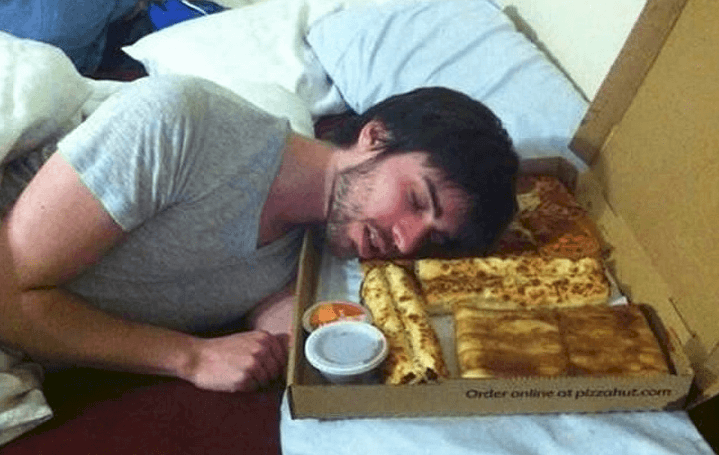 We don't know anyone who doesn't like to sleep next to his or her beloved ones. The thing is that sometimes they're not even human beings, but true love goes beyond age, race, and...species, we guess. 8. 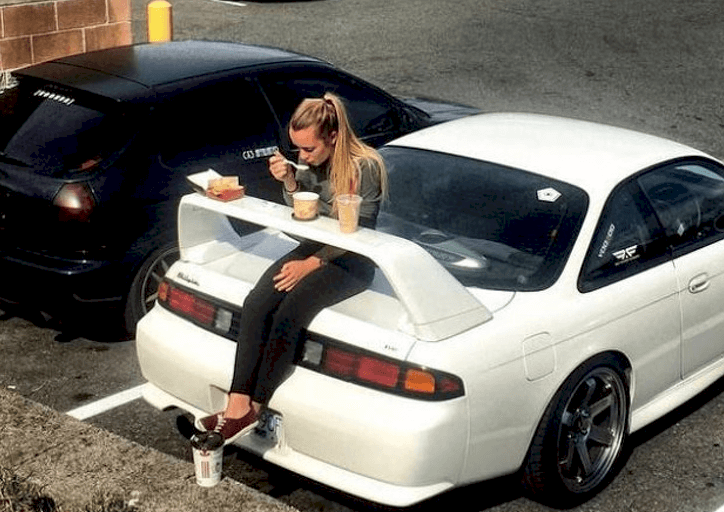 We are all living in the year 2018, while the girl is in 2118. We have seen that car for ages and never understood what that was made for. Now that the mystery has been solved, we can rest in peace. 9. It is not what you eat but how you serve it; that can make a big difference. This was our dinner after watching some episodes of Master Chef. We are so ready to compete in it! 10. Summertime; the part of the year when everyone does anything to show off a perfect body with a bathing suit. So, this is us, trying to reduce the intake of pizza from 6 slides to only 3. 11. It is said that outer beauty is futile, while the inner one is what matters the most. Well, we don't know about you, but we just fell madly in love with both. Isn't that the ideal being? 12. For most girls, the most important thing is their makeup palette; they could not live without them. 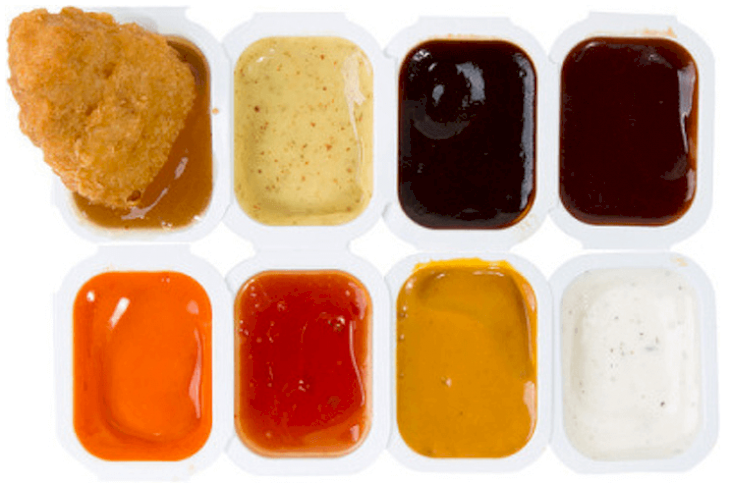 But there is another large group that would quickly change them for a sauce palette for chicken wings! 13. 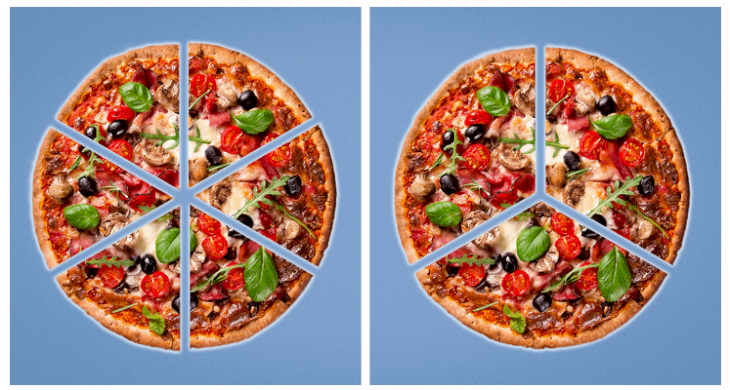 We are trying to eat less, so we used the same technique as the girl in the picture: ordering just one slice of pizza. Who cares what size it is? It is still only one piece! That must be valid! 14. On the left, we have the actual size of our food. On the right, that is how we see it after a friend asks us to share it. Did someone put a reductive spell on it or what? 15. Moms are always worried that their children are not eating enough healthy food. 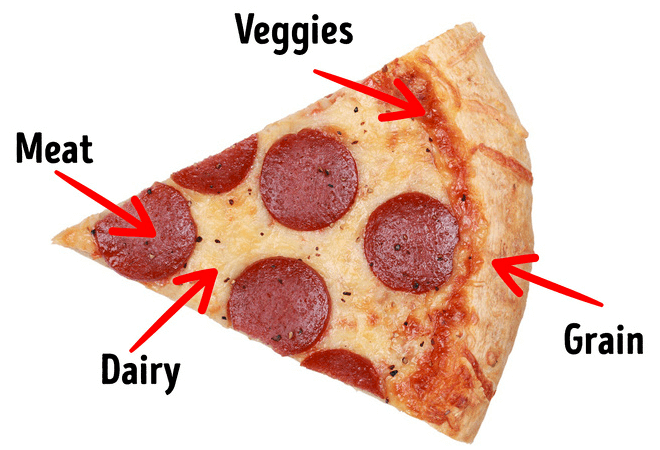 Next time she tells you that pizza does not have any nutritional value, show her this scientific proof. 16. 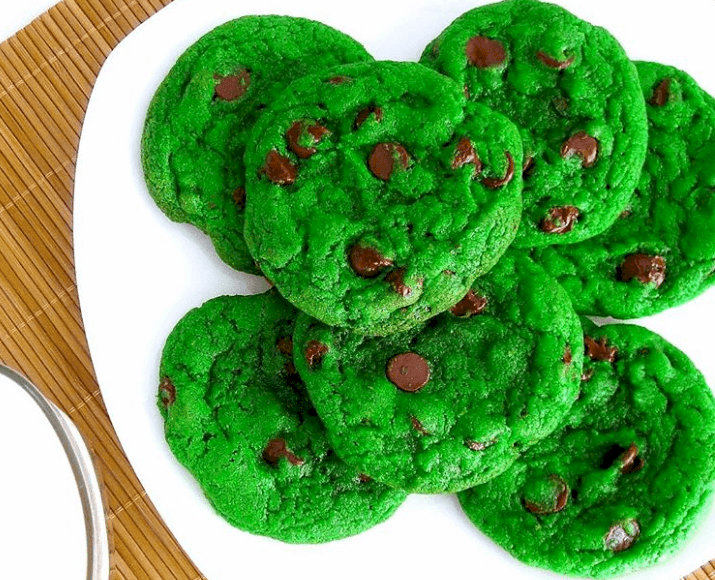 And continue talking about mothers, they also complain about us not consuming enough greens. 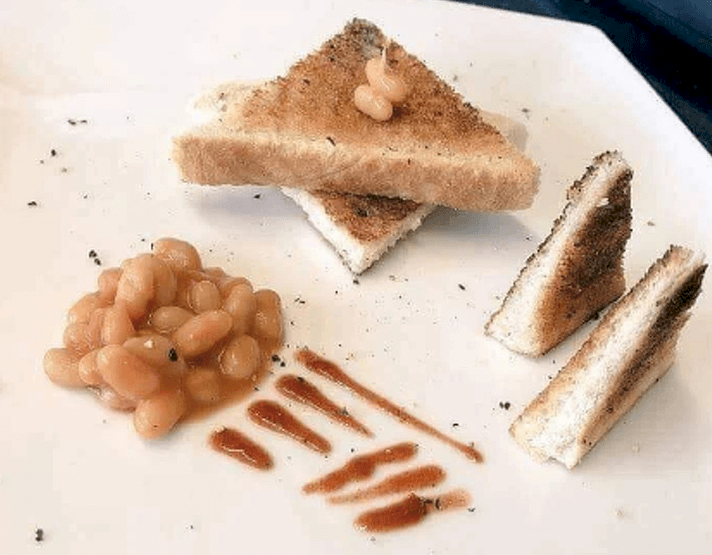 A friend of ours made this to show her mom she was eating it. Isn't the most brilliant idea? Atta girl! 17. 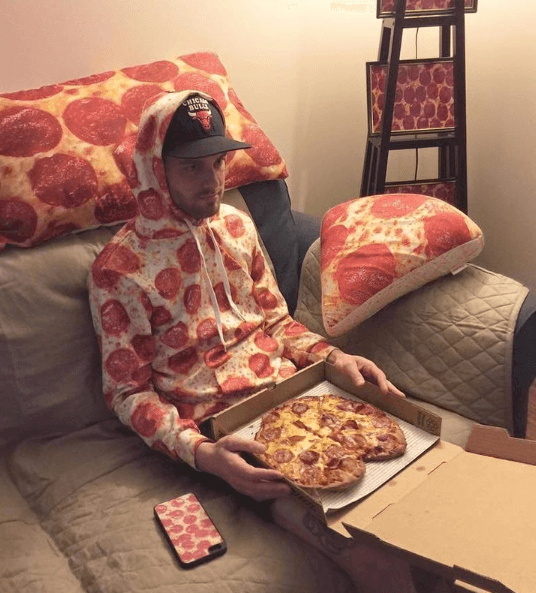 Some people like pizza; some others love it. But this guy took his affection to a whole new level. 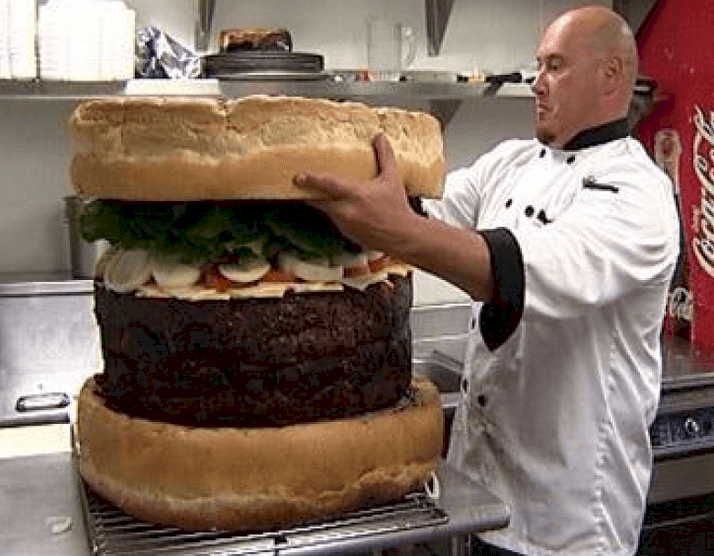 It is said that you are what you eat, and, well, this dude is living proof of it. 18. 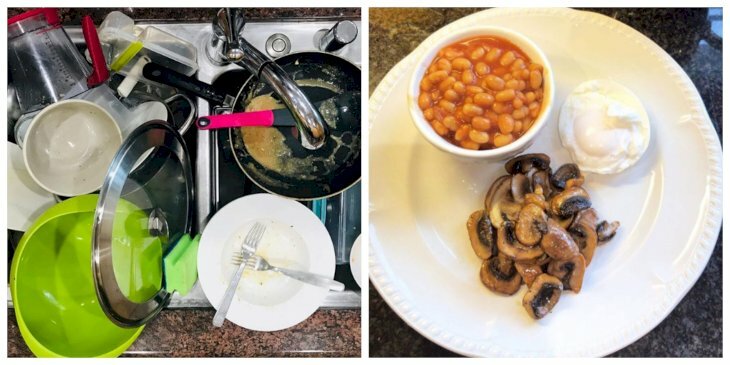 On the right, we have a delicious yet small dish for breakfast, but on the left, we can see the result of cooking for three hours. Was it worth it? That's why we love takeaways! 19. 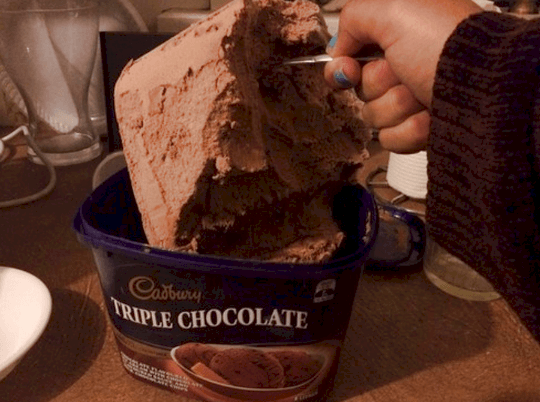 The dietician of a friend told her that she could only eat one scoopful of ice-cream. Sadly, he did not specify how big the scoop should be. No one can't say that she is not following her doctor's advice. We are pretty sure that many of these memes made you feel identified. 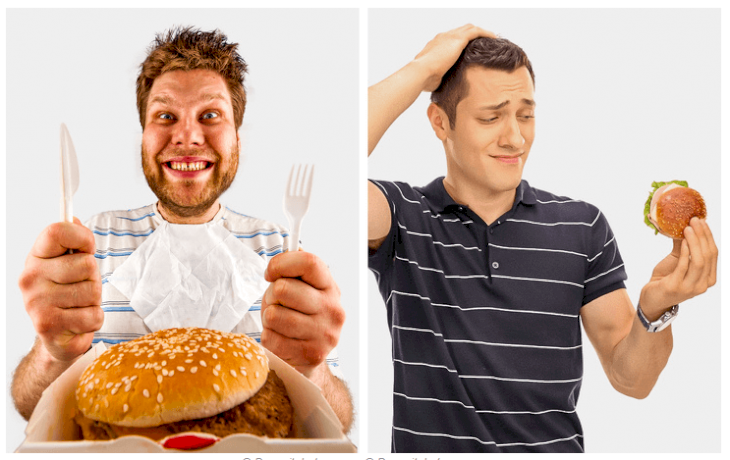 Most of them are so accurate because they represent the actual connection and experiences that people have with food. Did you like the article? Please tell us in the comment section and share this with your fellow food lovers. Until next time! We know that Hyneman was not the life of the party since his personality is stoic and boring, but let us tell you that he is an intriguing and unpredictable character. So take a moment and get ready to be wowed by the life of this Myth Buster. What exactly will happen in the upcoming new season of 'GoT'? Could Daenerys and Jon have a baby? Alas, a Reddit union decided to bless us with their personal theory on the situation.